It is too bad that some people need signs like this. Glad I don't live in that town. Deer crossing or Tractor symbols! 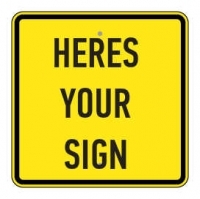 So I was looking at Traffic Signs:, Street Signs: and Road Signs tonight. I ran into a few funny ones I would like to share. I was thinking that it would be great to make a sign for a pool with the pool rules for the children using the make a sign feature on the Safety Sign Web site.